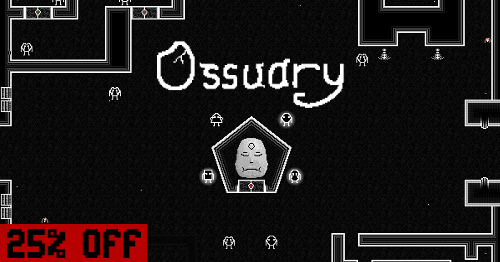 Ossuary is part of the Steam Summer Sale and will be 25% off until July 4! If you haven't had a chance to play yet, it's only $7.50 (USD). If you've played and liked it, we'd be thrilled if you wrote a review on Steam to let us know. What is Ossuary? 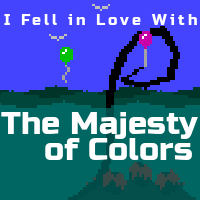 It's a funny, philosophical, pixel-horror adventure game where the player explores a strange underworld full of people slowly gathering dust. It explores themes of order, chaos, sin, and virtue, and it draws strong inspiration from the Discordian religious tradition. In case you missed it, we released an update back in December to improve the tutorial experience for new players and to help certain puzzles be solvable by colorblind players. Fall into the place of bones (or push a friend in by buying them a copy) on Steam.